For long-term dairy campaigner and State MP Shane Knuth the 10c per litre milk rise through Woolworths is cautiously welcomed, however he said a 30c per litre increase was needed to save a collapsing industry. Mr Knuth said dairy farming is disappearing in Queensland and more needs to be done by combined state and federal governments to revitalise and save the industry. “In the year 2000 we had 1,500 dairy farms in Queensland. The day I tabled my Fair Milk Mark Bill in 2013 we had 540. Mr Knuth added he is continually dismayed that Federal and State politicians will march arm in arm with producers at rallies and make bold speeches but do absolutely nothing in presenting legislation or taking action to save the industry. “I have also put a motion into state parliament calling on all governments to pressure supermarket giants, that a 10c per litre increase be applied to EVERY litre of milk sold in all supermarkets in all milk producing states, with the 10c increase going directly back to the dairy farmer. The KAP has condemned reports this afternoon that the State Government will review new crocodile management plans following an attack on a snorkeller on Lizard Island yesterday. The man was treated for minor cuts and abrasions to his head after the reptile, estimated to be up to two metres long, attacked him near Watson Creek Inlet. ABC reported Premier Annastacia Palaszczuk said the incident was concerning and that maybe stricter measures were needed, although she’s ruled out culling. KAP State Member for Dalrymple Shane Knuth said a review was the last thing Queenslanders needed. “The time for talk is well and truly over; we need real action in the form of a controlled cull now to put a stop to the attacks, which seem to be multiplying by the day,” he said. State Member for Mt Isa Robbie Katter said the latest attack was the final straw. “Human safety is paramount and the Government has now run out of chances to evade action; we need to activate a controlled cull as soon as possible,” he said. The latest development comes just hours after reports of a beheaded crocodile near Innisfail, revealing locals may be taking steps to control crocodiles themselves because the Government is failing to act. “People are saying this was bound to happen and it will continue if the Government doesn’t do something,” Mr Knuth said. Following a well-supported consultation tour around north Queensland, the KAP will table legislation next month to allow for a controlled cull in populated areas across Queensland. Under the legislation, Mr Knuth said crocodiles could be culled or relocated to a crocodile farm, and safari hunting and egg collection initiatives could be set up to create jobs for Indigenous rangers. In response to a public outcry, Katters Australia Party is drafting legislation to remove or cull crocodiles in northern waterways after a spate of savage attacks on tourists and residents. The recent death of a spearfisherman and the mauling of a man at Innisfail by crocodiles prompted a series of public meetings called by the Member for Dalrymple Shane Knuth to gauge public support for crocodile removal, culling, egg collection and safari hunting. Meetings were held last week at Mareeba, Innisfail and Port Douglas. At the Mareeba meeting Mr Knuth said the attacks had been given international media coverage and tourists were now cancelling visits to the Far North because they were frightened of being attacked by a salt water crocodile. Former deputy Mayor of Mareeba Shire, Evan McGrath spoke of crocodiles close to the town and how farmers had been menaced by them when checking their water pumps in creeks and channels. “Enough is enough,” Mr Knuth told a supportive audience of more than 100 residents. A three metre long photo backdrop of a crocodile with a kelpie in its mouth reminded the audience of the audacity and savagery of a crocodile eating a pet dog near Innisfail two weeks ago, greatly upsetting the dog’s young owner. Supporting the KAP legislation was the Chairman of Cape York Peninsula Land Council Richie Ahmat who suggested a truck load of large crocs should be taken from a local crocodile farm and dropped into the Brisbane River. “Then we would see some action,” Mr Ahmat quipped. Former Gulf area cattle station manager Jack Fraser told the meeting the excessive number of crocs in the vast Lower Gulf district were out of hand and should be culled as a matter of urgency. He said several years ago a large crocodile on a cattle station was found dead on a riverbank. It was cut open to reveal 60 plastic cattle ear tags in its stomach. “Sixty ear tags represents a loss to the station of about $60,000 worth of stock on today’s market,” Mr Fraser said. Member for Kennedy Bob Katter received thunderous applause when he stated the obvious: “The Brisbane Government does not care a less about North Queenslanders and it is time we looked after our own problems. “Home rule is across the world and like Brexit, North Queensland must now take a stance,” referring to a new State of North Queensland. Member for Mt Isa Robbie Katter said he would present a bill to State Parliament in the May sittings to address runaway crocodile numbers that were of grave danger to the public. He alluded to making unchecked crocodile attacks a precursor to blocking the May budget should the Labor Government not support his bill. Meanwhile the Independent Member for Cook, Billy Gordon, did not attend either the Mareeba or Port Douglas meetings held in his electorate. On his Facebook page after the meetings Mr Gordon claimed he would not be supporting the crocodile removal legislation because he had not been invited to either the Mareeba or Port Douglas meetings. “The needs of my electorate are quite substantive, the areas of health, education, telecommunications….and tourism are of primary concern to me,” the post said. “It’s on these issues that hard- nosed negotiations should be had on. A KAP spokesman said today Mr Gordon’s office was contacted early on Tuesday morning by staff inviting him to the meeting. “On Wednesday morning his office put in an apology telling us they were unsure if Mr Gordon would attend,” the spokesman said. “A meeting flyer was emailed to his office. KAP contacted his staff who said they were unable to send a representative to the meeting. “KAP staff also left a message on his phone,” the spokesman said. Mr Gordon is believed to be in Melbourne and was unable to be contacted for comment. At the Mareeba forum, local Labor Party stalwart Duncan McInnes said most Aboriginal communities and Traditional Owners he had spoken to supported the proposed legislation. The Electoral Commission of Queensland, a Brisbane-based bureaucracy headed by H W H Botting has long defended itself against corruption allegations and again has come into the spotlight after a State electoral redistribution moved several key northern seats to Brisbane. The Labor orientated ECQ cries independent but long suffering voters outside of the south east corner of the State have been crapped all over by its ALP and LNP driven agenda for decades. Released today, the ECQ has engineered a gerrymander of monumental proportions removing Katters Australia Party Shane Knuth’s seat of Dalrymple stretching from Atherton in the north to the southern mining town of Moranbah in the Coalfields. The last time the effective and independent member Rosa Lee Long threatened the status quo of the LNP and ALP, her seat of Tablelands was abolished by the ECQ in 2009. Far North people are sick and tired of being the political football for the LNP and the ALP. Cairns News has no doubt many thousands of voters who have depended on Shane Knuth for his astute representation will protest to the ECQ during the public comment period. Several contributors to Cairns News have already suggested that the entire population of the Far North refuse to vote at the next State election. The people should take a line on the map north of the Tropic of Capricorn and tell the south east corner Labor and Liberal politicians and their public servants to go to hell – the north is creating its own state, we don’t need you, one contributor said. The Mt Isa electorate will now take in Charters Towers in a ploy to spread its highly effective member Robbie Katter wafer thin across an electorate nearly twice the size of Victoria. Robbie Katter says the re-mapping of the boundaries is another blow for rural representation. He has constantly pushed against further expansion to rural seats and had hoped for more adequate representation in regional areas. “The major parties have got what they wanted, in particular the ALP,” he said. Mr Katter said the proposed changes meant that the Mount Isa electorate will lose Diamantina and Winton Shire boundaries, of less than 2,000 people combined, while taking in the Charters Towers Regional Council, with a population in excess of about 12,000 people. Mr Katter was disappointed the rural areas would miss out once again. “The major parties have got what they wanted which is less representation in regional areas,” he said. Singapore-owned Wilmar Sugar refuses to pay cane growers fair price. Thanks to the Liberal National Party cane farmers cannot go to arbitration because the LNP removed the clause from Shane Knuth’s bill. 19 February 2017: KAP Federal Member for Kennedy, Bob Katter and State Member for Dalrymple, Shane Knuth MP today, in the Burdekin town of Ayr, attended a meeting with cane farmers to end the sugar marketing stalemate with Singaporean based company Wilmar. In 2015 Mr Knuth introduced into the QLD Parliament the Sugar Industry (Real Choice in Marketing) Amendment Act 2015 giving an estimated 4,500 cane growing families choice in who they market with – the Bill passed with the support of the LNP and Independent Member for Cook. It was the second KAP Private Members Bill to become legislation and came within 24 hours of passing the ethanol mandate. “The outcome of the meeting today still does not give clarity because there is no manoeuvre by the Federal Government to introduce a Code of Conduct,” Mr Knuth said. “The numbers in the QLD Parliament have not been secured by the LNP, as yet, to get any amendments to the sugar marketing legislation. But as I did in the past when we drafted this legislation – working with the LNP and Canegrowers – we will be doing the same to ensure effective changes can take place,” Mr Knuth pledged. Mr Katter whose electorate of Kennedy is highly reliant on sugar, was critical of the LNP for removing the final arbitration from the KAP legislation. “The State representatives who were there today – we are only in this hole, without any cane supply agreements (no contracts between farmers and millers), because the LNP took out the clauses for final arbitration – where the referees decision is final. That was in there and the LNP took it out. We didn’t have the numbers without the LNP so it had to go through QLD Parliament without that clause,” Mr Katter said. “With all of the QLD State LNP seats now in serious doubt and vulnerable to attacks from KAP and PHON, we might be able to get the QLD State LNP more scared of us than their corporate masters. “George Christensen has crossed the floor on ethanol. His crossing the floor on ethanol was an act of very great courage and I think he has played a key role in convincing the Feds to stop them from intervening and overturning the sugar marketing legislation. “The LNP today says ‘we believe in a competitive market and when it doesn’t work we intervene’. Fancy saying that when they (the LNP) introduced the deregulation. “Statements about ‘we believe in competition setting the market price’. What an appalling statement! Do you believe the market sets the price of milk with only two buyers in there? Or the price of apples, bananas, oranges or sugar? “The two giant supermarket chains set the market price. Sugar has a 400% mark-up on the price for refined sugar that the industry gets paid. “Our second underlying problem is the world sugar market price is set by Brazil and they have over the last 16-17 years received $420 a tonne, and I doubt whether we have got $360 a tonne. We can’t survive on $360 a tonne average price. “George Christensen no doubt was instrumental in getting the Deputy Prime Minister to stop any intervention from Canberra to overturn the Sugar Marketing legislation. Farmers and every worker in Australia should be entitled to arbitration. Thanks to KAP for introducing the legislation, at least one industry now has arbitration. “We thank the Deputy Prime Minister for listening to George Christensen on this issue,” Mr Katter ended. An emotionally-charged meeting of Far Northern pastoralists, indigenous representatives, councils and farmers at Mareeba has urged three State Parliamentary crossbenchers to vote down proposed changes to the Vegetation Management Act. Deputy Premier Jackie Trad, in a move to appease Brisbane environmentalists and bolster Greens Party preference support for the ALP, will introduce new VMA regulations to halt tree clearing in State Parliament this week. 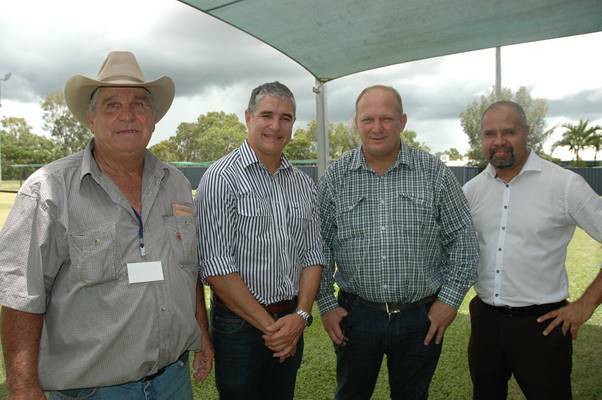 Agforce hosted the gathering of nearly 80 primary producers and industry representatives from Innisfail to Cape York Peninsula, held at Mareeba Bowls Club on Tuesday. In spite of the threat of a snap election, crossbenchers Rob Katter and Shane Knuth vowed they would vote against the new regulations that Mr Knuth said would set the state back 20 years. “We have been telling the Premier for a long time that landowners cannot afford and will not support the return to the nasty era of tree police,” Mr Knuth said. “We have just had one of the worst droughts in history with record numbers of bank foreclosures and the Labor Party wants to make farmers suffer even more. After the meeting Mr Knuth said he did not know which way Member for Cairns, now independent Rob Pyne would vote after he deserted the Labor Party last week. While addressing the audience, Member for Cook Billy Gordon tacitly approved the stance of his crossbench colleagues. Agforce General President Grant Maudsley said the State Government’s own data showed tree coverage in Queensland increased by 437,000 hectares between 2012 – 2014. “Moves by the government to reject simple data and repeal the current vegetation management laws are the biggest threat to Queensland farmers since the Gillard Government smashed the live cattle export trade in 2011,” Mr Maudsley told the meeting. Mareeba District Fruit and Vegetable Growers representative Makse Srhoj warned the new laws would impact severely on farms within the MDIA because of their smaller size. “If we have to leave 30 per cent remnant vegetation on a block then we can’t do anything with them, particularly if there are two or more deeds,” Mr Srhoj said. A member of the panel, indigenous leader Noel Pearson, waded in roundly condemning green groups and the ALP Government for holding back economic opportunities in northern communities, rejecting the new laws as a ‘rebirth’ of Wild Rivers legislation. In his hallmark immutable style Pearson did not hold back, criticising Federal Member for Leichardt Warren Entsch and former Member for Cook, David Kempton for waging a “disgraceful campaign against Billy Gordon” after he was elected. “These guys are ‘false prophets,’” Mr Pearson told an entirely attentive audience. Changes to State Government liquor ‘lock out’ laws have divided the community in Far North Queensland, with letters to newspapers and radio talk back callers equally opposed and agreeing to the changes. Taxi operators, nightclub owners and young patrons have criticised the Labor Party’s legislation that will see a reduction in drinking time, with last drinks at 1am instead of 3am. Some venues can apply for last drinks at 2am with an additional 30 minutes grace before lock out. The new regulations come into force on February 1, 2017, allowing a 12 month phase-in provision insisted on by Katters Australian Party MP’s Shane Knuth and Robbie Katter. Those with a criminal history of violence or drug dealers will not be allowed entry to venues. The regulations are to be reviewed in July 2018. Emergency services personnel have shown total support for the new laws, praising the KAP for its insight into the burgeoning alcohol culture of young people. The Australian Medical Association welcomed the changes, believing the shorter hours will go a long way towards halting ‘coward punches’ and drug-fuelled violence. “The police asked us to include the banning of known drug dealers and users within night club precincts and the management of this is up to the night clubs,” Mr Knuth said. “We indicated from the beginning we would not support the regulations in their original form. Our Nightlife Queensland Secretary Nick Braban attacked KAP for supporting the winding back of trading hours describing the 1am lock out as “draconian” that would cost jobs and kill business. The LNP, in opposing the changes, has waded in accusing KAP of “backflipping” and causing chaos to Cairns’ status as an internationally renowned tourist destination. 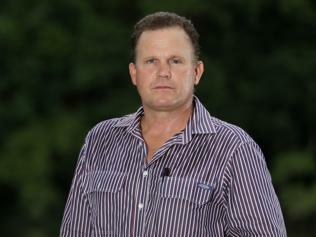 Former LNP Member for Barron River and tourist operator Michael Trout, said KAP is not welcome in Cairns. “It no longer has any relevance,” Mr Trout said. “KAP is too close to the ALP and is now seen as being in bed with them. “The night chaplains are upset and an ABC poll showed 75 per cent support against the changes. Advance Cairns and the Cairns Chamber of Commerce joined the fray believing the early lock down would create transport issues. Cairns Taxis chairman Layne Gardiner said the city’s 137 cabs would not be able to provide the same level of service when venues are unable to serve alcohol after 3am. He said when large numbers of patrons leave venues simultaneously, on big nights, trouble usually breaks out at taxi ranks. “I think that when they start to wait on ranks, that’s when fights do break out and unfortunately we are the end result who have to take them home,” Mr Gardiner said. A KAP spokesman said due to the large number of calls and emails received by Mr Knuth and Mr Katter, the majority of Queenslanders supported the changes leaving Cairns as the main objector.